U.S. President Barack Obama is to give a speech at the UN General Assembly in New York. It is expected that his speech will focus on the Middle East, Syria and North Africa. However, perhaps of much greater interest is the question of whether Obama will meet with the new Iranian president, Hassan Rouhani, on the sidelines of the UN. In the 34 years that have passed since the Islamic Revolution, not one U.S. president has met with a president of Iran. Now, ever since the inauguration of Rouhani in early August of this year, the White House has not stopped looking for an answer to the question of how to relate to the signals of Tehran’s willingness to enter into a direct dialogue with the U.S. administration over Iran’s nuclear program. Immediately after taking office, Rouhani, during his first press conference as president of Iran, said that representatives of Western countries need to understand: a solution to the nuclear problem can be found through dialogue, not threats. 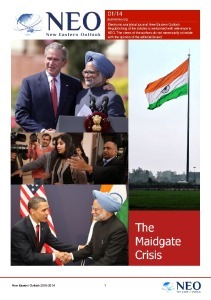 He also expressed confidence that “the distrust and concern” of both sides will soon be dispelled. A necessary precondition for this was named – Washington must demonstrate good will towards the Islamic Republic. 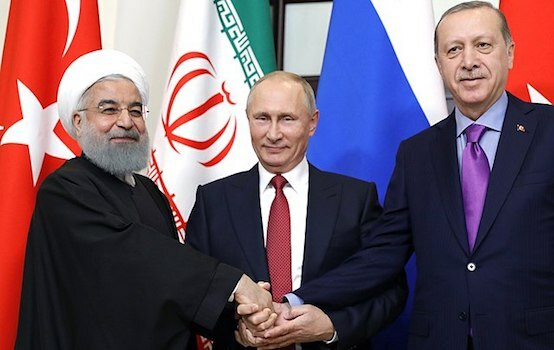 Iran is ready to normalize relations only on the basis of mutual respect, which it would still be premature to speak of, but the signs of movement on both sides in this direction are starting to be observed. In early September, Obama and Rouhani exchanged letters. In his letter, the U.S. president supposedly promised that sanctions on Iran would be lifted if it demonstrated willingness to “cooperate with the international community, keep its commitments and remove ambiguities”. In response, Iran reacted with consent to negotiations and agreements with the United States, not hiding the fact that the Iranian government wants to quickly sign an agreement on the nuclear issue, to get rid of the sanctions that are crippling its economy. The presidents’ discussion by correspondence, the most fundamental turns of which, of course, are hidden from the general public, is clearly evolving towards a search for an Iranian-American compromise on the nuclear program. The parties have demonstrated mutual caution in official statements, acting with an eye on the reaction of domestic opponents, which neither Rouhani nor Obama are lacking. However, with Rouhani, contrary to the opinion of many foreign analysts about the secondary role of the president in determining Iranian strategy, an acceptable balance between powers and duties is already evident. This may reassure Americans that there will not be problems from the Iranian side, and that Iran has “sufficient political will to solve them”. The attempt at a breakthrough in negotiations with Washington on nuclear issues is not his own initiative; he obtained the appropriate authority from the supreme leader, Ayatollah Ali Khamenei, who has sanctioned the new Iranian diplomacy. In the present situation in Iran, the spiritual leader’s position is mandatory for all agencies and officials involved in foreign policy decisions. It is not by chance that explicit and loud objections have not been heard from Iranian politicians in Tehran. 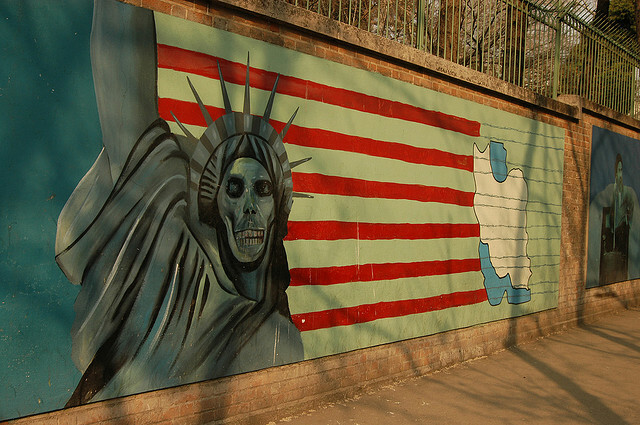 The political elites of Iran, including their military component, seem to have accepted the guidance of a well-known truth: “The wise man is not the one who knows how to distinguish good from evil, but the one who is able to choose the lesser of two evils.” In the current situation, the Iranians perceive the negative impact of the sanctions as the “greater” evil, while the “lesser” evil is the unavoidable concessions on the nuclear issue. Rouhani, speaking on the American television channel NBC, made no secret that he hopes for a diplomatic breakthrough in talks on Iran’s nuclear program, saying it had no intention of building a nuclear bomb. The conversation with U.S. television viewers occurred on the eve of Rouhani’s trip to New York for the UN General Assembly, where he is expected to meet with President Obama. Now, however, the prevailing view is that if such a meeting does take place, it will most likely have a casual rather than official character. According to Obama, the recently heard statements from Iran about its willingness to settle the dispute with the United States over its nuclear program are insufficient. 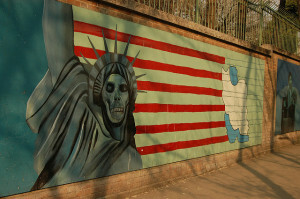 The leitmotif of American evaluations has become that legendary saying of Stanislavsky from the world of cinema and theatre – “I do not believe it!” In its words the United States is striving for talks with Iran, while in reality it is keeping the pressure on. At present there is no talk of lifting the sanctions on Iran, neither those of the UN, nor those that the United States imposed unilaterally. Moreover, not with convoluted diplomatic signals but with direct text, Washington adds that if sanctions are not able to force Tehran to abandon its plans to build nuclear weapons, the Americans still have “other forms of action”, hinting at the military. “We’ve always made clear that we’ll make judgments based on the actions of the Iranian government not just on their words” is how the American position was summed up by President Obama, who unlike Rouhani cannot boast of a unified political position of the American administration towards Iran. For example, the U.S. Treasury Department issued a September 17 paper about measures to combat terrorist financing and money laundering. In it, Iran is named among the “most dangerous countries” that may be complicit in money laundering and supporting terrorism. Tehran, in Washington’s opinion, does not provide assistance to international efforts aimed at neutralizing this activity. U.S. financial institutions are advised to be prepared to respond to a “financial threat” from Iran. Such is the demonstration of goodwill by Washington towards the Islamic Republic, the main opponents of which are still at war with Tehran from the trenches of Congress. The other day, The Washington Examiner reported that Republican Senator Lindsey Graham intends to develop, together with other supportive senators, a resolution justifying military intervention in Iran. He said the U.S. decision not to do anything in Syria will prompt Iran to develop its nuclear program, and in the case of inaction by the United States in the next six months, Israel and Iran will go to war with each other. What are the Congressmen most concerned about: Iran’s nuclear program, or a desire to please Tel Aviv, which never tires of bearing malice towards Iran from the U.S. corner? Since the election of Hassan Rohani as president of Iran, Israeli leaders have been increasingly expressing concern about the likely softening of attitudes of Western countries, primarily the United States, towards the nuclear program of the Islamic Republic. Prime Minister Benjamin Netanyahu is also going to the UN General Assembly, where at a meeting with Obama he intends to focus on discussing the need to stop the Iranian nuclear program by increasing pressure on Iran. Netanyahu expresses the questionable, in our opinion, belief that the events of recent weeks have confirmed the correctness of the Israeli approach to regional issues. And his conclusion that only a military threat can prevent “rogue states” from developing deadly weapons clearly indicates the Israeli leader’s tendency to wishful thinking. Such a self-serving delusion is also widespread within the United States. Remember, Obama is busy testing Rouhani’s desire for dialogue, the results of which are likely to be given to him by a “third party”, as the Iranian president recently diplomatically expressed it, avoiding direct reference to Israel, which was subject to the bellicose rhetoric of Ahmadinejad for the last eight years. As can be seen, from Tel Aviv the duel with the former president continues, and for Israel preventing the Iranian-American dialogue remains one of the top priorities in its relations with the United States. Indeed, Netanyahu has no questions about against whom to be allied with Obama. In this sense Iran has no rivals in the region, and Israel will do all it can to interfere with contacts between Obama and Rouhani, including through the pro-Israel lobby in the U.S. Congress. A day earlier, the American Israel Public Affairs Committee (AIPAC) also urged the U.S. president to put strong pressure on Tehran. The AIPAC statement largely coincides with the demands of Netanyahu. Regarding the position of Russia, the Russian Foreign Minister Sergey Lavrov calls on the international community to support the Iranian president’s position. The foreign minister completely agrees with the new Iranian leadership that the nuclear issue should be resolved through dialogue and not ultimatums and threats. At the present time, it is important to encourage the constructive approach of Iran towards talks on the nuclear issue, which is expected to be newly illuminated in a speech by Rouhani on Tuesday September 24 at the General Assembly session in New York, where regardless of whether or not he will get to make contact with Obama, the new President of Iran will be the centre of attention. Nikolai Bobkin, Candidate of Military Sciences, Associate Professor, and Senior Researcher of the Center for Military-Political Studies at the Russian Academy of Sciences’ Institute of the U.S. and Canada, exclusively for the online magazine New Eastern Outlook.